Hastings & Prince Edward Counties/ September 1, 2015 – The Quinte Region Traffic Coalition (QRTC) is launching its “On the Road, Off the Phone” distracted driving campaign to coincide with the Labour Day weekend provincial enforcement campaign. The campaign will run throughout the region from September 4-7. Police will be focusing on all traffic infractions with extra attention being paid to distracted driving. Effective September 1, 2015, drivers caught using a hand-held device will receive a fine of $490 and 3 demerit points. Examples of hand-held devices include iPods, GPS and MP3 players, cell phones, laptops and DVD players. As a reminder to drivers to stay off the phone while driving, the QRTC will be distributing “On the Road, Off the Phone” car magnets. Speeding affects all road users, and those who speed are a risk to both themselves and those around them. One of the goals of the Quinte Region Traffic Coalition (QRTC) is to reduce the number of motor vehicle collisions in Hastings and Prince Edward Counties due to speeding and other forms of aggressive driving. To that end, the QRTC has launched a new and innovative campaign called, “Slow Down & Enjoy the Ride”. Designed to shift the belief that “faster is better”, this campaign aims to show that when we slow down, we reduce our risk of collisions and enjoy a more relaxed life. This benefits us as individuals and as a community. The campaign uses posters, information cards and public service announcements to communicate the campaign messages. The education component is supported by an enforcement campaign by area police officers. Posters and information cards can be ordered by contacting Hastings and Prince Edward Public Health at (613) 966-5500, ext. 229. The campaign materials can be viewed using the links below. 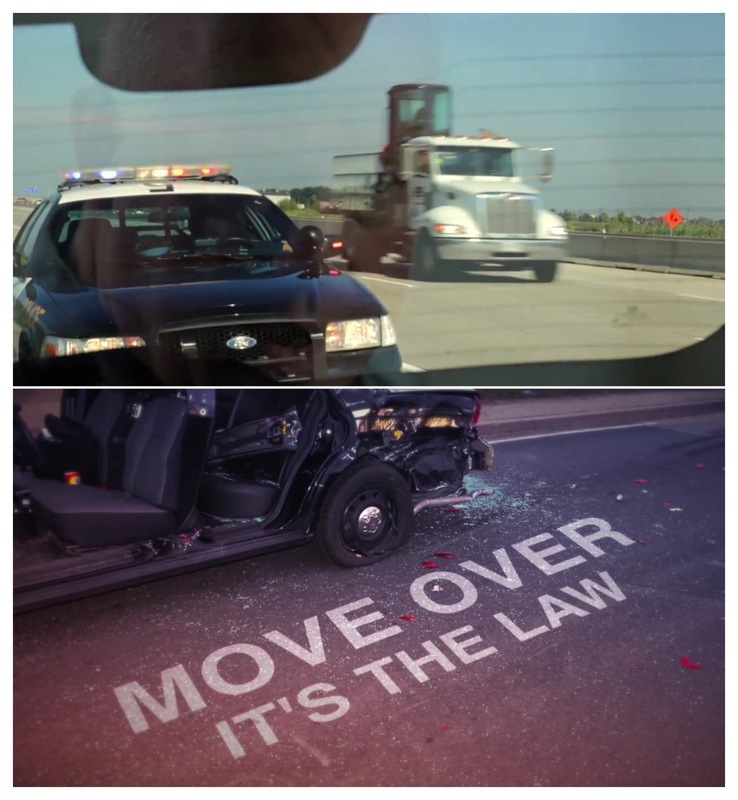 Slow down, move over: It’s the law in Ontario.